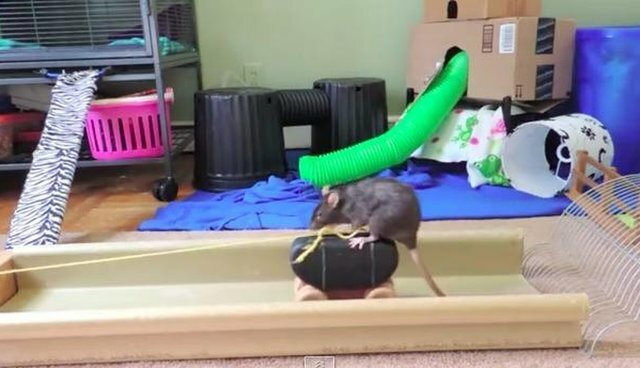 The next time someone tries to tell you rats aren't intelligent, just show them this video of a rat running her homemade obstacle course. 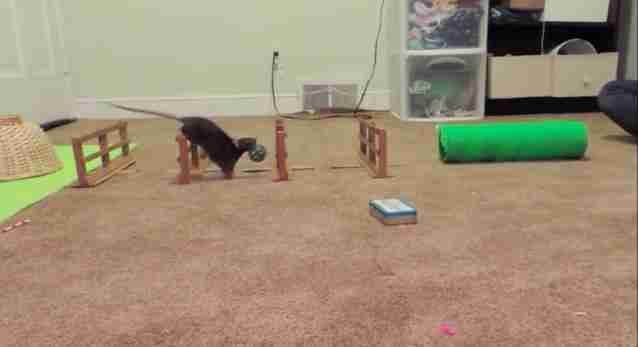 Pepper, a rescue rat owned by YouTuber Abby Roeser, is able to scale books, pull down a drawbridge when she has no other path and even scoot herself along on a makeshift vehicle with a string. Who knew rats could be such good drivers? Roeser has a collection of videos on her channel showcasing the amazing abilities she's been able to teach her rats. Some of the videos show the little guys and gals playing basketball, retrieving tissue paper and opening and closing the doors to their homes. Not only are rats great at agility courses, but they also experience pain and show empathy toward one another, so this is just one more reason they shouldn't be experimented on or given a bad rap. Check out Roeser's YouTube channel and all the footage that shows how intelligent rats can be.